A Cat And A Hedgehog. She'll never be alone.. HD Wallpaper and background images in the Sonic the Hedgehog club tagged: photo sonic the hedgehog blaze the cat sonic blaze sonaze. 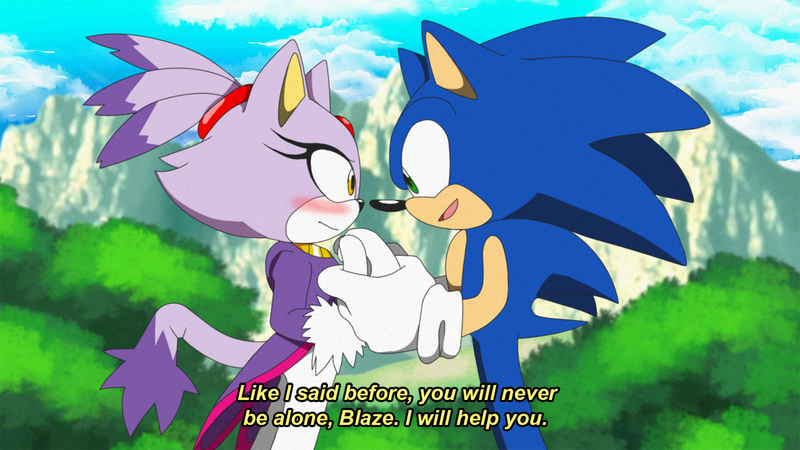 This Sonic the Hedgehog fan art might contain anime, comic book, manga, and cartoon.